The Engineer’s Department of the Georgetown Mayor and City Council (M&CC) has halted all works at the Holmes Street, South Cummingsburg construction site where a mason was killed on Wednesday. The announcement was made yesterday in a statement issued by the M&CC, which also said construction and building guidelines may not have been observed at the site. 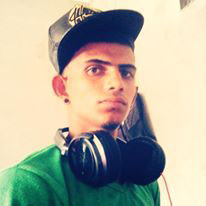 Vickram Nandkumar, 22, died after falling from a scaffold from a four-storey building that is under construction at the site. Nandkumar succumbed after sustaining injuries to his chest and abdomen from the fall. 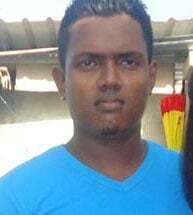 Annan Persaud, his workmate who also fell, remains a patient at the Woodlands Hospital nursing a broken foot. Nandkumar and Persaud were among of group of men working on the building, which is located behind the Fix-It Hardware Store on Main Street, when they fell. In the M&CC statement, it was also stated that the Town Clerk Royston King is unaware that permission was granted to the owner of the property to commence construction. “However, it has been recognised by the Council that certain construction and building guidelines may not have been observed at the location. The City has for some time pleaded with contractors and property owners to observe building codes and guidelines,” it added. The statement said the Town Clerk and the municipality’s directors are already engaged in discussions of enforcement of city regulations, which would include the adherence of building codes. These codes, it noted, deal with public health, general welfare and safety. It was noted therefore that persons must receive the requisite approval from the municipality, the Environmental Protection Agency (EPA), Guyana Water Inc. and other relevant agencies before they can go ahead with their operations. King added that it is at the top of the council’s agenda to improve service at the municipality, including by shortening approval times in this area. 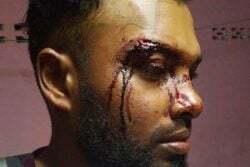 Meanwhile, speaking to Stabroek News from his hospital bed, Persaud stated that although he cannot say whether the accident was reported, he was promised compensation for his injuries by the company. He added that he is unsure when he would be released from the hospital. The accident occurred around 4.30pm while they were both on a wooden scaffold plastering a western wall of the building. Sand and cement were being taken up to the fourth storey of the building by an electrical lift when a cable burst, causing the lift to fall. The falling lift hit the scaffold and both Nandkumar and Persaud fell.